One of the biggest winners from Australia’s property boom, Mirvac pays no tax because it is a “stapled security”, that is, a trust stapled to a company. 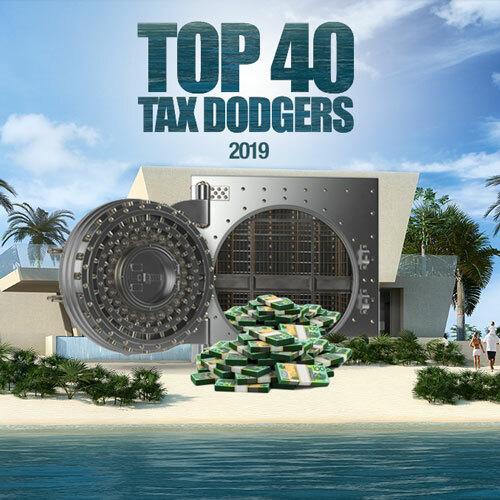 Trusts don’t pay tax, their “members” do so Mirvac will argue, with some merit, that it should not be on this Top 40 Tax Dodgers chart – and we invite Mirvac to respond – as its members are required to pay the tax. However, most Mirvac shareholders would be either super funds (who pay at their 15 per cent rate) or self managed super funds (who pay at their marginal tax rate, which may be zero) so the country’s take is probably less than half what it would be if this were a company rather than a trust. In other words, the point of trusts is to dodge tax. 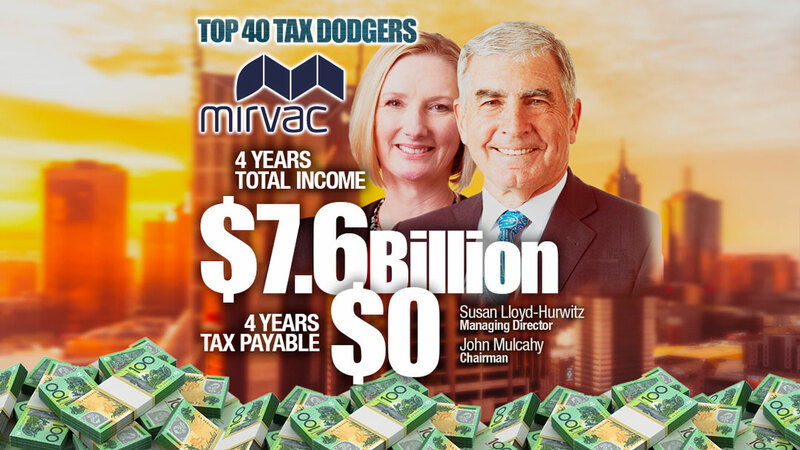 Mirvac booked income of $7.6 billion over the past four years and, on the tiny $20 million in taxable income which it declared to the Tax Office, it still paid zero tax. So Mirvac, at the height of the greatest property boom in Australia’s history pays no tax, even on its taxable income. Auditor, and (massive conflict of interest) tax advisor too, is PwC.